Anti-austerity party Podemos has announced it wants its 69 Congressional seats won in the Dec. 20th general elections divided into four parliamentary caucus groups — one each for the party itself and the three coalition tickets in which it participated in Spain’s regional communities of Catalonia, Valencia and Galicia. 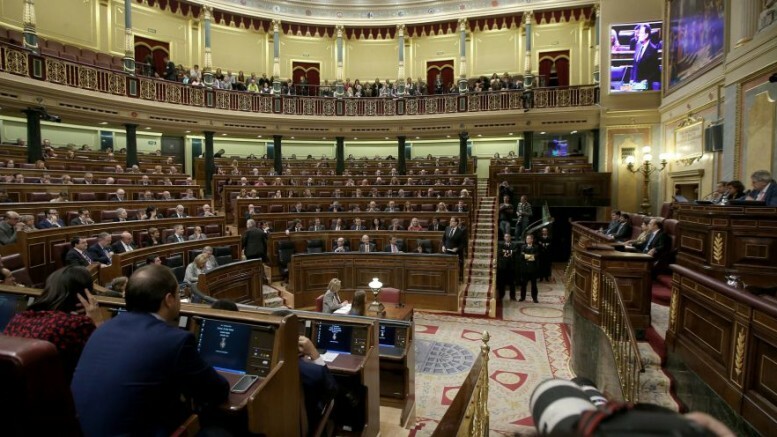 Other parties complain that such a move would give Podemos, which placed third in the number of total seats won in the elections, an unprecedented four times the 25,000 euro monthly stipend received by each of the other parliamentary groups and also grant the new-left party four turns at the podium in every parliamentary debate to be held in the next Congress. The Podemos request effectively draws another negotiating line in the sand for Podemos’ support in any Congressional pact with the Socialists, including the upcoming key vote on Wednesday on which party to support for the presidency of the Mesa Directiva (executive committee) of the Congress that will control the order of legislative debates and other matters as the new congressional session gets underway.